Enjoy the best private beach club in Malibu in a fantastic family neighborhood. 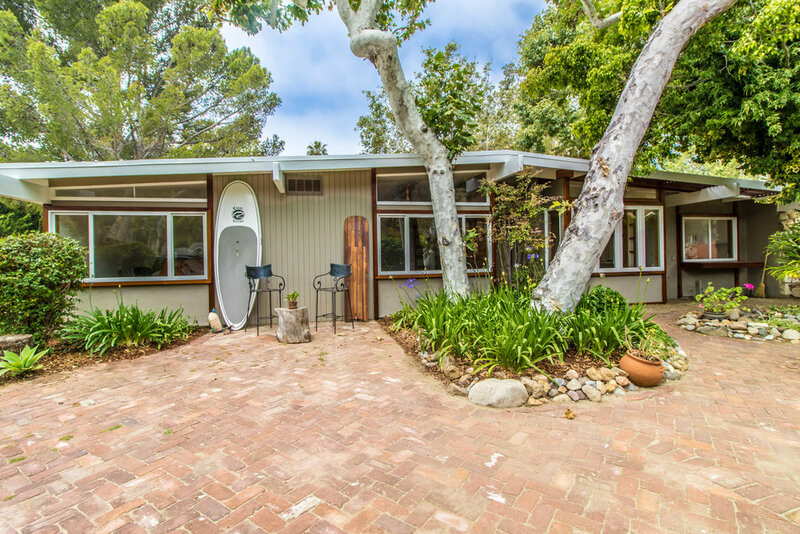 Just minutes away from excellent local Malibu schools and Zuma Beach. This beautifully updated California ranch-style home offers indoor/outdoor living with four large bedrooms and bonus studio with three bathrooms all on one level. Featuring one of the largest enclosed yards in the neighborhood, the garden gate opens to a tranquil, tree-shaded brick courtyard, full of foliage and totally private. This is your outdoor living room, perfect for entertaining or relaxing with bar and pass-through to kitchen. The master suite features a walk-in closet and large bath with oversize shower for two with a unique skylight. Mexican tile and skylights are features throughout this bright and airy home. A spacious studio with separate entrance offers another living space that is perfect for live-in help or extended family.